As of 2012, in the US alone over 9.3 percent of the population, that’s 29.1 million people, were either diagnosed with diabetes or thought to currently remain undiagnosed (1). The effects, not only at an economic level, but also in respect of individual suffering and diminished quality of life, are then monumental. Yet the figures keep on rising, and it would seem the most contemporary medicine can achieve is to manage not only the condition itself, but also the myriad health issues which arise as a direct result of the disease. 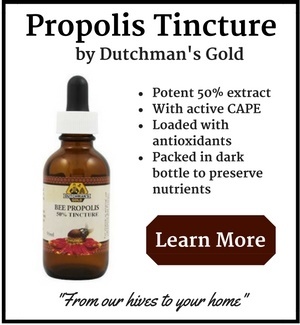 So, while scientists battle with the problems relating to cause, effect and a drug cupboard of contemporary treatment options which are quickly diminishing, the beneficial properties of propolis as a natural alternative are being investigated with increasing frequency. 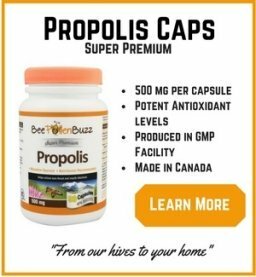 The medicinal benefits of propolis have long since been renown and it is thought that this arises due to the complex and varied nature of the compounds it contains. Research in some cases has identified around 160 components, while others have found more than 300 (2). It is likely though that many more have yet to be discovered. When it comes to diabetes in particular, propolis was first acknowledged back in 1988, as having the capacity to regulate the condition primarily because it acts in an anti-hyperglycemic capacity stabilizing blood sugar glucose (3). Since then though, there has been an increasing number of studies, all of which appear to evidence that propolis can mitigate the condition to one extent or another. Many of the studies though have been performed within the laboratory. 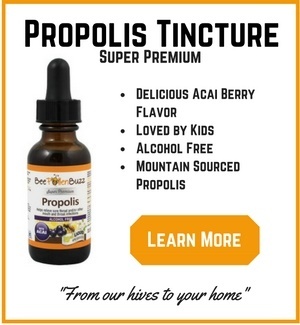 Although there were always strong indications that propolis is at least effective in reducing lipid peroxidation and scavenging free radicals in animals, and so was likely to affect both of these contributory factors in human sufferers of type 2 diabetes (4). However, more recently trials have taken place which involved measuring the effects not on rodents, but on real people. The latest is a study published in 2017 (5) where 66 patients with type 2 diabetes, were divided into 2 groups: one received 900mg of propolis per day for 12 weeks, and the other a placebo. Although numerous potential effects were monitored, the major findings were that fasting blood glucose over the study period decreased in the group receiving propolis and increased in the control group who were taking the placebo. What they also found was that total cholesterol levels fell in the propolis group although they rose correspondingly in the control. It would seem then that the earlier animal research had been correct. 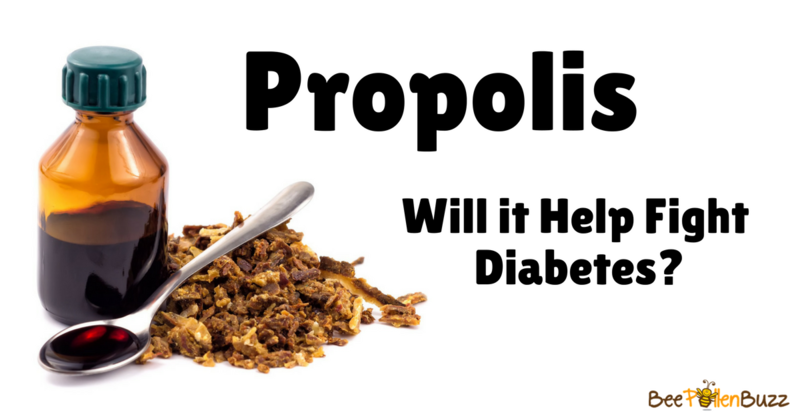 Although the trial concluded that propolis had no significant effects on insulin resistance, because of the effect on blood glucose and some lipids, the research suggests that propolis may well play a future role in managing and reducing the effects of the condition. What also has to be taken into consideration, of course, is that the trial period was for a relatively short time, only 12 weeks. The long term effects of this natural treatment, which by definition requires lifelong treatment, are yet to be established. Hopefully, we won’t have to wait too long to find out! Fu Liang HU, Hepburn HR, Xuan H, Chen M, Daya S, Radloff SO. 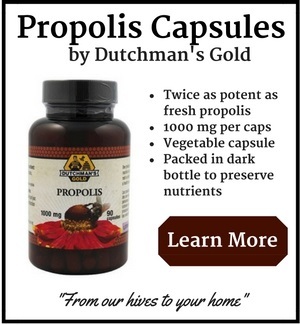 Bee Propolis for Diabetes, effects for blood sugar, lipid and free radicals in rats with diabetes mellitus. Effects of bee propolis supplemenation on glycemic control, lipid profile and insulin resistance indices, in patients with type 2 diabetes. Samadi N, Mozaffari-Khosravi H, Rahmanian M, Askarkshani M.